Set in Romania during the 1980's. The story of a woman who helps her university roommate arrange an illegal abortion. 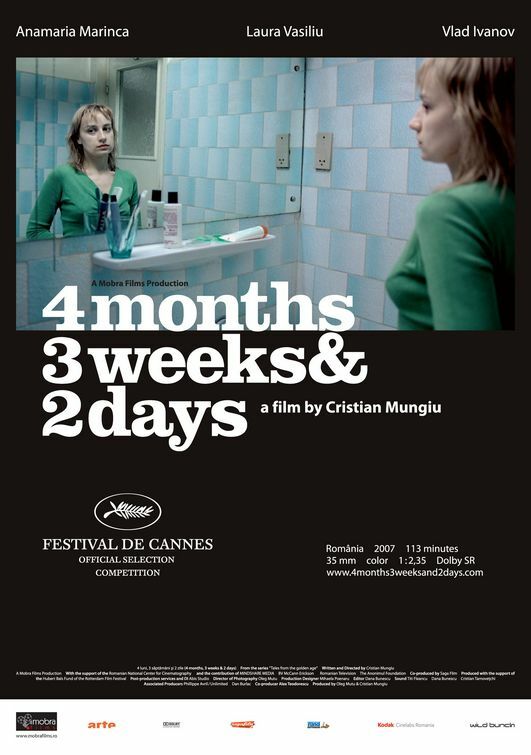 The most well known film internationally of the Romanian New Wave, 4 Months, 3 Weeks & 2 Days by Cristian Mungiu (Occident) won the coveted Palme d'Or in 2007. It is filled with excellent acting performances especially the role of Otilia played by Anamaria Marinca. What's most impressive is the cinematography from Oleg Mutu (The Death of Mister Lazarescu) who masterfully captures the bleak, harsh, and hopeless reality of this time. I watched it long ago, it's a good one. Vasiliu's acting in other Romanian films has left a profound impression on me. Sounds like a bit of a heavy film, subject-matter wise, but this era of Romanian filmmaking is too, too good to miss. Actually looks pretty good, might have to check it out. Congrats! You are the top link for My Sunday Link Party!